We had the chance to review a beautifully illustrated book of the Creation story called Purposeful Design: Understanding the Creation that was published by Purposeful Design. Purposeful Design was created by Jay Schabacker who has worked in many fields such as finance and aerospace engineering. Throughout his life and career he has enjoyed studying the marvels of creation and learning more about the Creator through Bible studies. His travels and studies inspired him to write an uplifting book that explores the wonder of creation through pictures. Purposeful Design: Understanding the Creation is a coffee-table hard back book that takes the reader on a visual journey through the days of creation. It contains Bible verses, relevant quotes, factual information about the objects and animals created on each day, and stunning photographs. 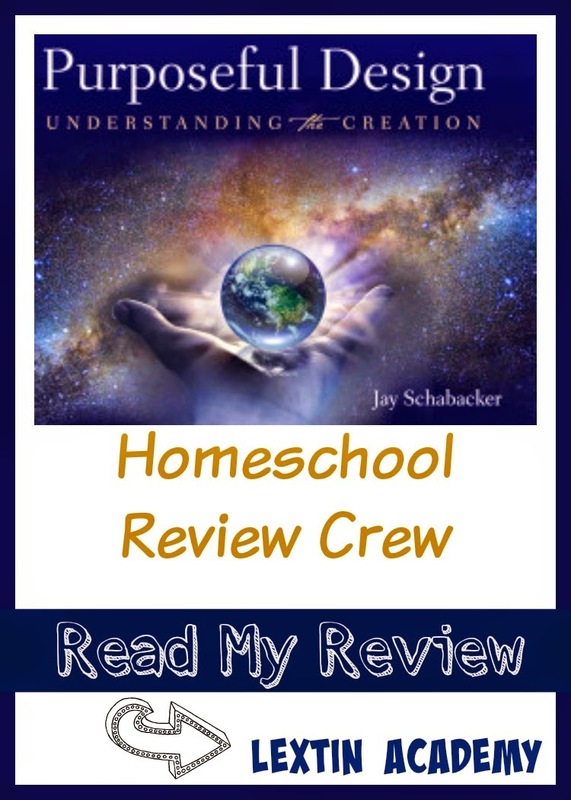 The book contains short narratives about what was created on each day of creation to introduce the reader to the elements of creation while demonstrating the purposeful way in which God created every element. This book is designed to be used with all ages. The book also has a companion workbook that is available online for free called the Young Explorer’s Club Curriculum. This is geared for elementary students to enhance their learning experience as they read through the book. We read through this book slowly. We often only read one or two sections at a time. Then we paged through the illustrations. 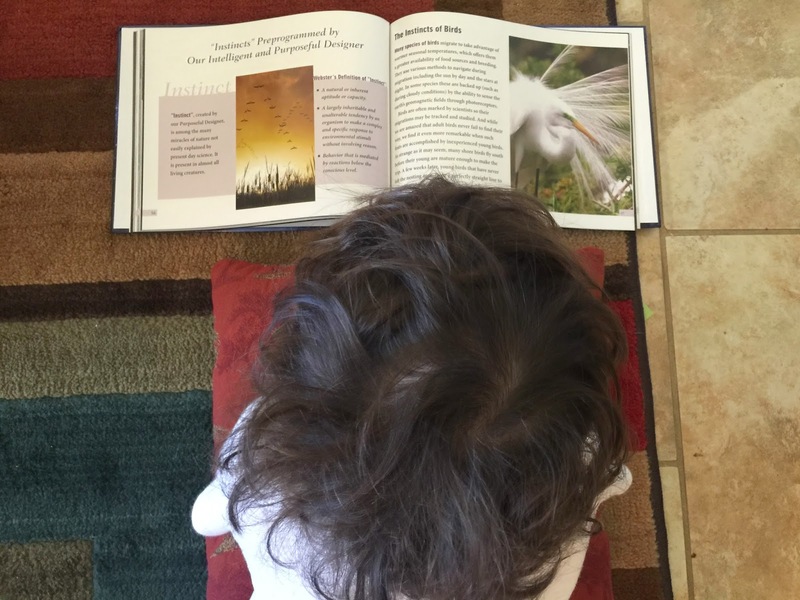 I often found my kids with the book spread open on the floor in front of them as they flipped through the illustrations. This book appealed to all ages within my family. 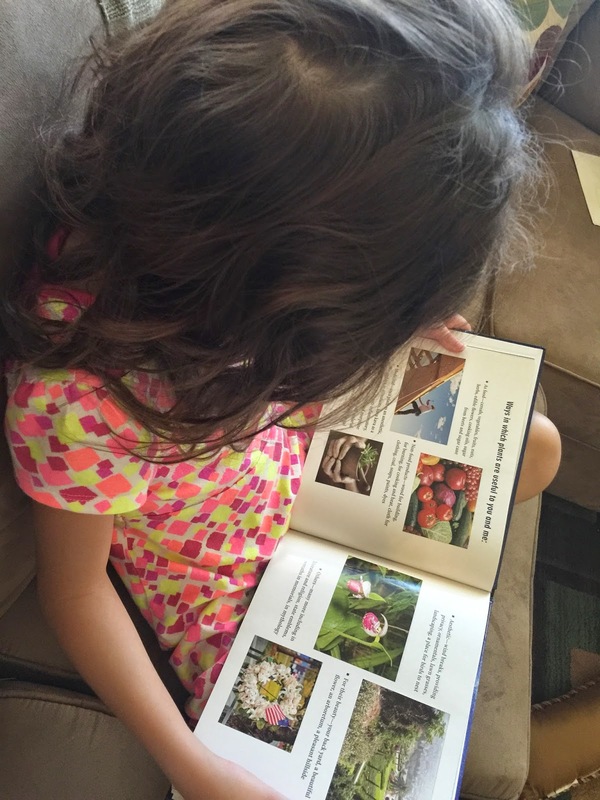 My oldest, age 8, enjoyed reading the book on her own as well as hearing me read it. For the rest of my crew, I read this book aloud. They sat next to me or above me on the couch and peered over my shoulder to see the many illustrations. My younger children, ages 6, 5, and 3, especially enjoyed the pictures. They loved to slowly page through each section of creation and look at the many pictures. I made sure to leave the book within their reach so they could enjoy it on their own. Our favorite page was from creation day 5 which has pictures of very unusual-looking sea creatures to illustrate the Creator’s sense of humor. To use the curriculum, I printed off the PDF form and used it as a discussion guide with my older two children – ages 8 and 6. We discussed things such as intelligent design, thermodynamics, the rain cycle, the depths of God’s love for us, phases of the moon, the ocean’s tides, and what it means to be created in the image of God. I did find that I had to help them with some of the answers. The guide worked best with Curly and was used as a guide to an oral discussion rather than have her write her answers. The pictures are breathtaking. We especially enjoyed the pictures of the stars and the heavens as well as the photographs of various animals. The book takes you through a journey of the days of creation with pictures and text. Each section opens with the corresponding verses in Scripture for that day of creation. The text includes factual information about aspects of creation from that day such as information about the oceans and details about the uses of plants. I found that the amount of information was just right for my young crowd. We were not overwhelmed with many details of all the aspects of each day of creation. Instead of being a technical and scientific writing, this book contains facts and interesting tidbits with a short narrative. This was perfect for the ages of my kids and held our interest. We enjoyed reading through this book together and exploring the various days of creation with the beautiful photographs that highlight God’s workmanship. This is a book that my children will enjoy paging through again and again to read the short facts and revel at the pictures.